TORONTO (July 19, 2012) – Quebec residents can now recycle every type of household battery, announced Call2Recycle® today. RECYC-QUÉBEC has named Call2Recycle the province’s official All-Battery Collection program operator. With today’s announcement, residents can now drop off any battery weighing up to five (5) kilograms at Call2Recycle’s more than 900 battery collection locations and at participating municipalities in the province. Call2Recycle collects and processes batteries and cellphones to reclaim their materials and divert waste from landfills. Quebec residents are no strangers to Call2Recycle, which has collected more than 500,000 kilograms of rechargeable batteries in the province since 1997. “Quebec residents have enthusiastically used Call2Recycle collection boxes for rechargeable batteries, so we know that they will embrace the all-battery program and the opportunity to make the province even more environmentally friendly,” said Joe Zenobio, Executive Director of Call2Recycle Canada. “We look forward to supporting RECYC-QUÉBEC and Quebec citizens to keep more batteries and cellphones out of community landfills,” he added. 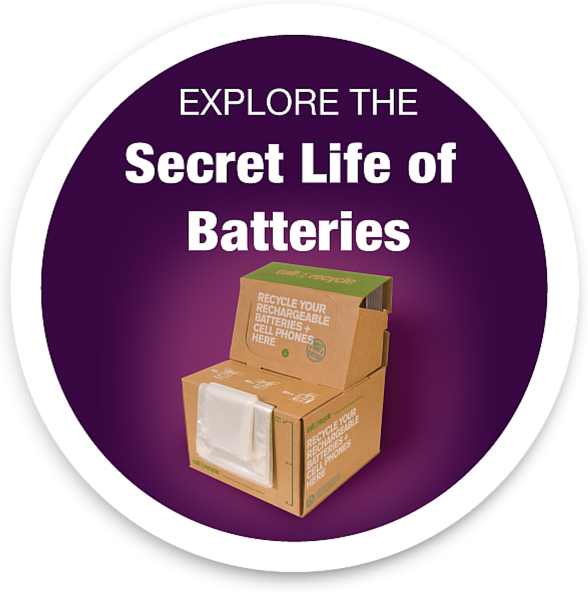 Call2Recycle is North America’s only free battery and cellphone collection program. Battery recycling is on the rise across Canada as environmental sustainability takes on greater importance to consumers. With this expansion, Quebec becomes Canada’s third province to use Call2Recycle services for every type of household battery. “This announcement marks an important milestone in Quebec’s household battery recovery and reclamation program. It is an example of how the Province and producers can work together to reduce our collective environmental footprint. Through the Extended Producers Responsibility program, we are moving closer to preserving Quebec’s natural environment,” said Pierre Arcand, Quebec’s Minister of Sustainable Development, Environment and Parks. “We are pleased to have Call2Recycle administer this program. Diverting more batteries from landfills is an important part of RECYC-QUÉBEC’s environmental strategy, and we trust that the expanded recovery and the reclamation program will move us significantly closer to a sustainable environment,” said Ginette Bureau, CEO of RECYC-QUÉBEC. Call2Recycle’s convenient battery and cellphone collection sites are located across the province through retailers, municipalities, businesses and public agencies. To find a battery drop-off location near you or to learn how your organization can participate in the Call2Recycle program, visit call2recycle.ca or phone 1-888-224-9764.